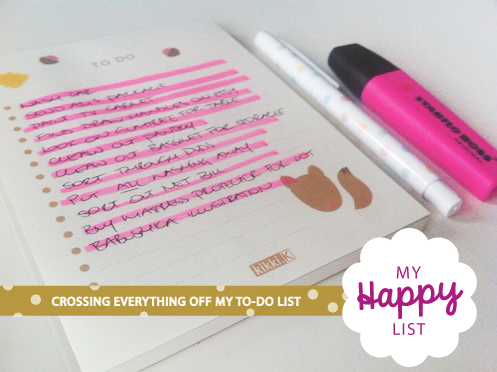 To-do lists make me pretty happy in themselves, but crossing the last task or goal off (especially in the same day as writing the list) makes me pretty darn happy. I know you know what I mean, I'm pretty sure the sheer elation of getting everything done is universal. Also, my 'to do' notepad from Kikki.K makes me happy, in fact, most things from that store do!